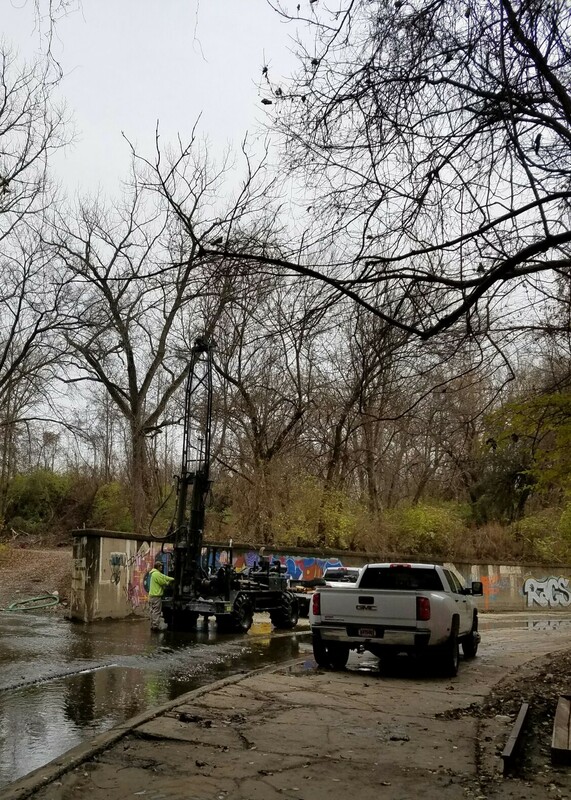 The major goal of the geotechnical drilling and testing is to gain as much ACCURATE data of the soil, rock and water as possible. The more accurate the data, the less risk the Owner will bear during construction. Decisions regarding the expenditure of hundreds of millions of dollars are made based on the data gathered by the drilling firm. While the Owner will often spend significant resources in evaluating and selecting the Prime Design Firm, the drilling firm is usually hired for local, political and low cost reasons. This is ill-advised. 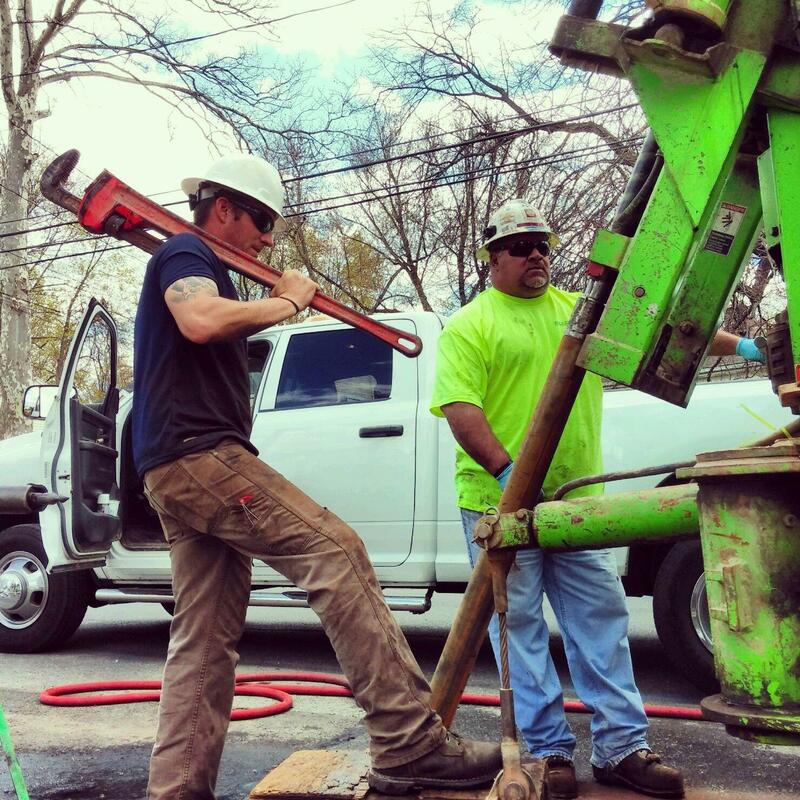 Most drilling firms do not have the specialized experience needed to perform this work accurately. SELECTION OF THE DRILLING FIRM SHOULD GET THE SAME LEVEL OF ATTENTION AS SELECTION OF THE PRIME DESIGN FIRM. 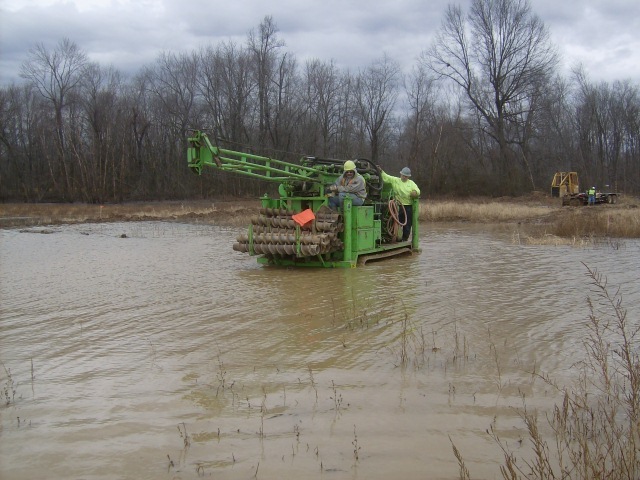 Over 500 deep borings since 2008 in diverse locations & geological conditions around the country. Successful investigations on major tunneling projects in Indianapolis, Ft. Wayne, Louisville, St. Louis, Cleveland, Cincinnati and Hartford. Specialized equipment and trained personnel specifically geared towards deep CSO projects. Deep tunnel CSO projects are high risk projects as 9-figure decisions are often made based on limited geotechnical investigation. Even small inaccuracies in this data have resulted in change orders in the tens of millions of dollars. Retaining 7NT to perform the drilling is a low/no cost way of insuring against this risk. DRTC project in Indianapolis set world records for mining in a day, a week and a month. DRTC project in Indianapolis is $80 million under budget, while the remaining 18 miles of the Indianapolis system are currently projected to come in $70 million under engineer’s estimate. South Hartford Conveyance Tunnel had multiple bids come in $30 million to $50 million under engineer’s estimate. For little or no additional cost, the owner can hire the best drilling firm and reduce the substantial risk associated with inaccurate data gathering. 7NT owns and operates a fleet of 5 rigs that are all newer and well maintained. This minimizes mechanical breakdowns and delays. 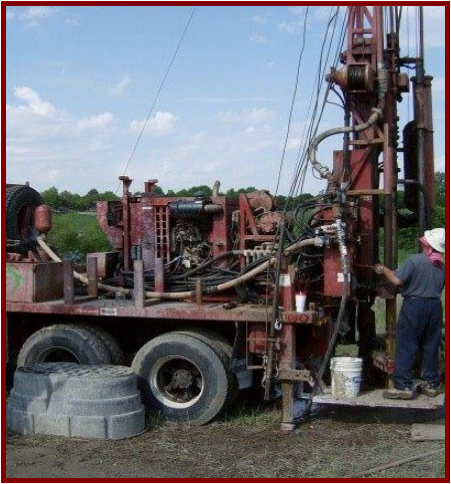 Rigs are equipped with fluted Kelly bars. This allows for using up to 15’ long casing and core barrels for higher quality sampling and faster production. Rigs are equipped with calibrated automatic hammers for accurate SPT counts. For deep drilling, wireline split inner triple barrels are used to maximize recovery and mechanical breaks in the rock core sample. The core barrels are manufactured by Boart Longyear. A double packer system is used with a vibrating wire transducer for water pressure testing. This allows for actual readings within the 10-foot section from the transducer; the calculated values from the surface gauges are used as backup confirmation. Ability to install nested standpipe and vibrating wire piezometers. A grout mixer with moyno pump is also used during the piezometer installation that allows for accurate quantities and correct mix proportions/slump to be used. Use a mole system for slug testing that contain a variety of transducers allowing pressures up to 1,500 psi ranges. Furthermore, software for the slug testing is continually upgraded. The support trucks are equipped with trailer systems that have been specifically designed and stocked by 7NT drilling crews for deep drilling work. This allows for all equipment to be present at the drill site and organized in a manner to maintain high quality and increased production.